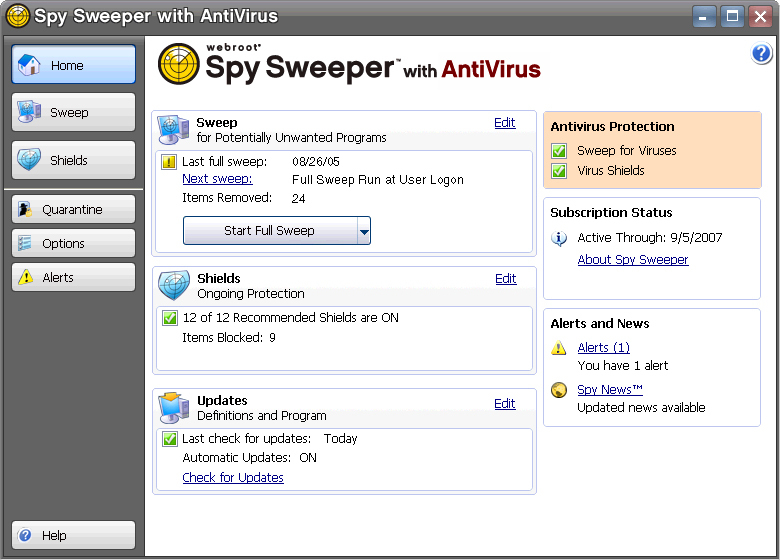 Webroot Spy Sweeper with AntiVirus removes and blocks dangerous viruses, spyware, worms and Trojans. Get complete protection from a single, easy-to-use solution that is now Windows Vista compatible. A MUST-HAVE FREE DOWNLOAD.